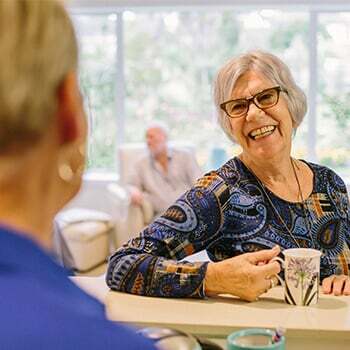 For Helen, Weary Dunlop is the Goldilocks of retirement villages: big enough to have everything she needs but small enough to retain a close, caring village community. 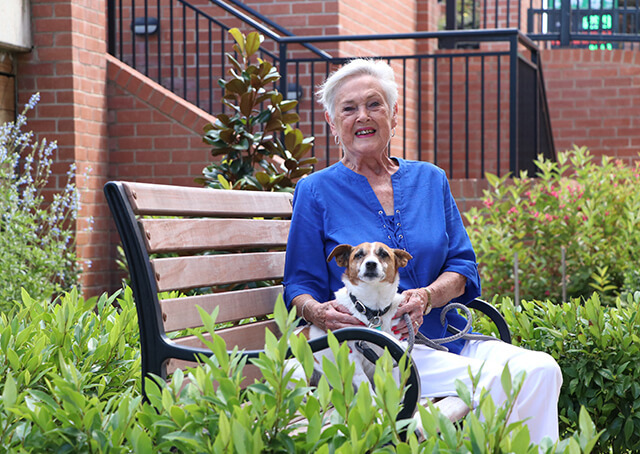 The 85-year-old, who shares her independent apartment with canine village celebrity Buddy, knows more than most just how deep that community support runs. 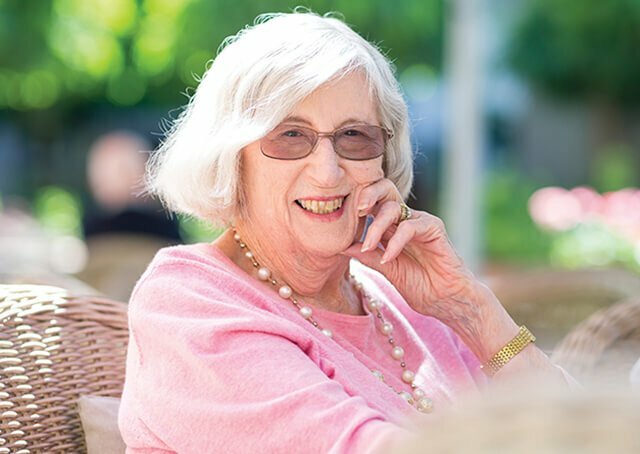 Helen gets teary as she speaks about her late husband, Geoff, who passed away in 2016 – “I still miss him,” – but smiles as she recounts how fellow residents and staff responded. 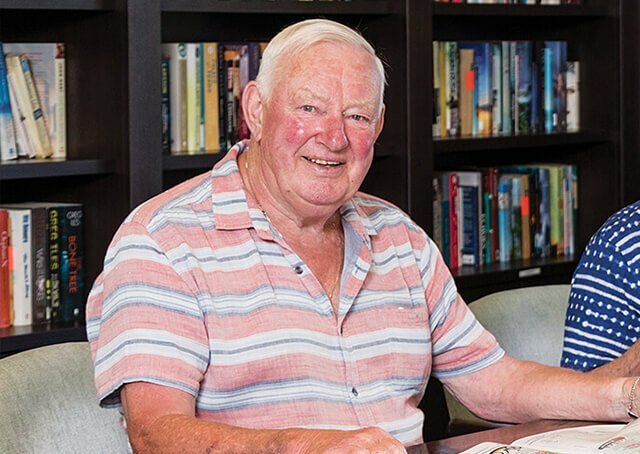 When she saw Weary Dunlop’s maintenance man sitting in a pew at Geoff’s funeral, proudly wearing his Ryman uniform, she knew “care and kindness” was more than an advertising tagline. 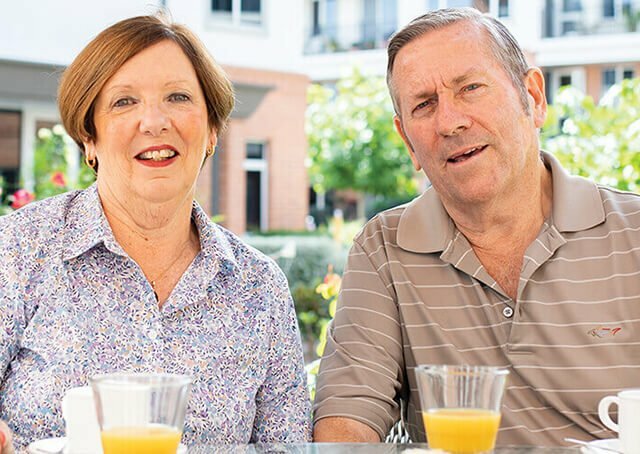 Not long after Geoff’s passing, Helen once again felt the warm embrace of the village when a health issue made taking Buddy for his four walks a day difficult. Friends quickly put together a roster to help, and two years later Buddy is still enjoying his long morning strolls with residents Bill and Wayne three days a week. 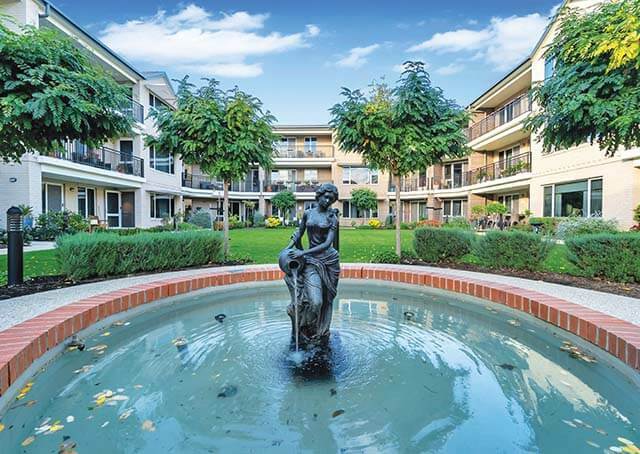 And while Helen says she has everything she could possibly need within the village gates, Weary Dunlop’s proximity to an array of local amenities makes stepping out when she wants to quick and easy.